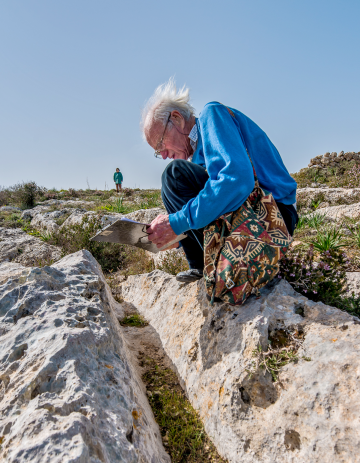 Well-known archaeologist David Trump, who led some of the finest explorations in Malta, has died. He had marked his 85th birthday last Saturday. Dr Trump first visited Malta in 1954, with excavations at Ġgantija following which he served as curator of Archaeology at the National Museum of Malta. From 1958 to 1963, apart from working at the museum, he excavated on a number of sites, Skorba being the most rewarding. He returned to Cambridge as staff tutor in Archaeology, a post he held for the next 30 years. His field activities moved to Sardinia where, as in Malta, he added new phases to the prehistoric sequence. He continued to visit Malta at regular intervals, usually leading parties of adult students. From 1986 to 1994 he dug with the team which excavated the Xagħra Circle. He has published numerous articles and books including The Prehistory of the Mediterranean, Malta: an Archaeological Guide. In 2004 he was awarded Malta's highest order of merit for his work in Maltese archaeology. In 2015 the University of Malta awarded him the honorary degree of Doctor of Literature for his lifelong commitment to the archaeology of the Maltese islands. He has frequently been interviewed by Times of Malta. In 2014, he said that when he found a roll of bread in the ashes of a tower burnt some 1,700 years ago, he was more excited than when he stumbled upon a gold earring on the same site in Safi.